The goal of the system is to show the depth and skillset of the creative behind Artery. We felt the office system should be striking and bold at first glance, and then reveal a variety of nuances. 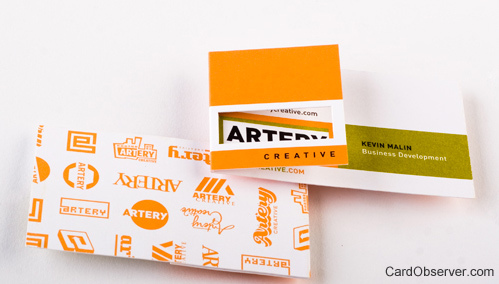 The folding, die-cut business card utilizes the secondary logo pattern on the back.